This month has been delivered to the shipowner Boluda Maritime Corporation the new boat "VB La Graciosa" . This ship will support a work platform on the island of Las Palmas de Gran Canaria. It is a pioneering Crew Boat, whose hull and deck are made of reinforced polyester fiberglass. 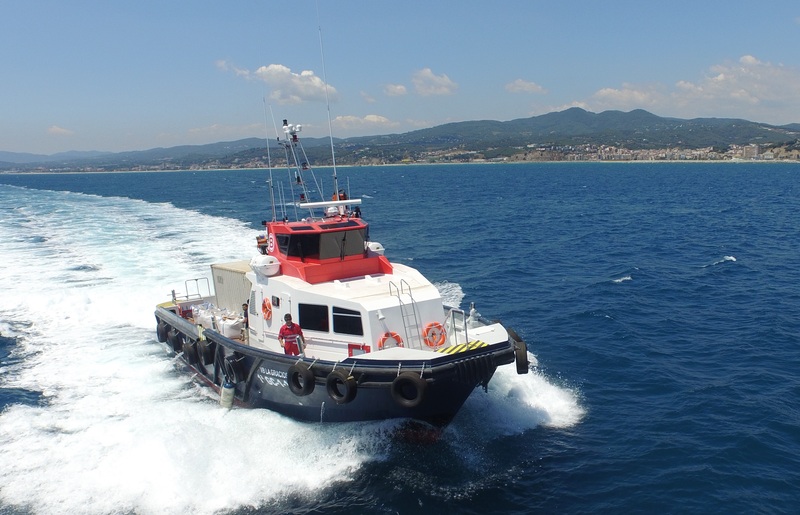 This boat is 22 meters length, 7 meters beam and an approximate total gross tonnage of 70 TRB. It has a capacity for 12 passengers accommodated in seats, a maximum of 7 crew staying in equipped cabins and 30 ton of cargo. Cargo can be distributed in ISO containers 10 ft and 20 ft and drums 200l.